KUALA LUMPUR, Dec 14, 2016 – With the year coming to a close, Huawei plans to end 2016 with a bang following its remarkable year in Malaysia. The most premium device in Huawei’s line up, the Porsche Design Huawei Mate 9 will be made available for pre-orders at 11street and VMall.my starting the 15th of December! The Porsche Design Huawei Mate 9 features seamless curved edges, a graphite finish and stylish black colouring combined with the latest technology. This is perfectly complemented ‘under the hood’ by a unique, intuitive user interface that exudes sophistication thanks to Porsche Design’s signature design language. With a shared commitment to functional design, innovative craftsmanship and cutting-edge technology, the collaboration delivers highly discerning customers an unrivalled, premium smartphone experience; with revolutionary speed, extensive battery life and luxurious design cues. 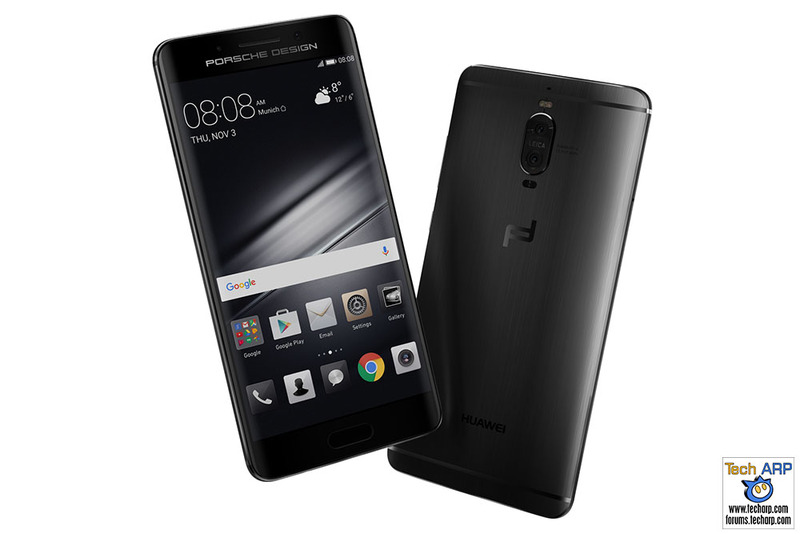 The Porsche Design Huawei Mate 9 comes in an exclusive Graphite Black colour and will only be limited to five units on both 11street and VMall.my, which will retail at RM6,999 / ~US$1,749. Limited units of the Porsche Design Huawei Mate 9 will also be available for purchase at Huawei Authorized Dealers on December 22 this year. Next : Desktop Kaby Lake Processor Launch Details Leaked!